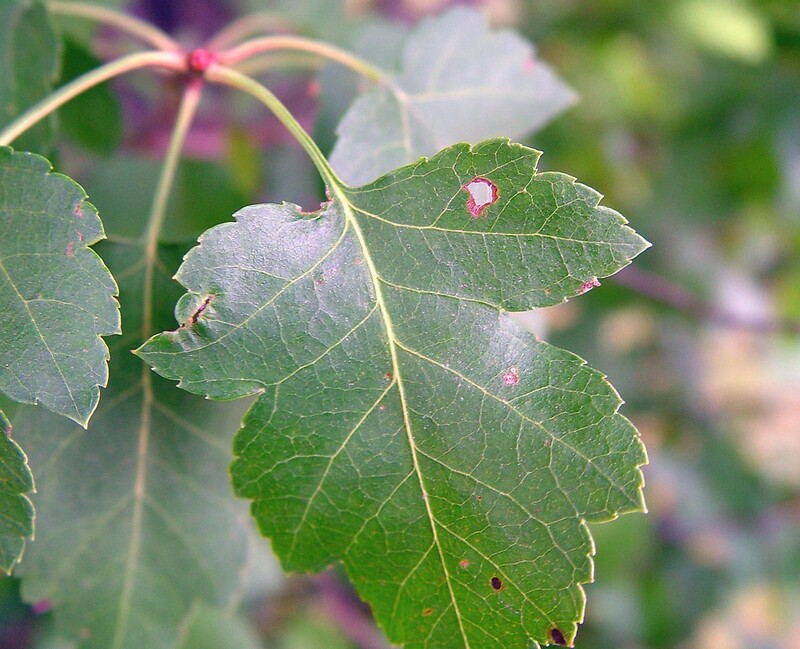 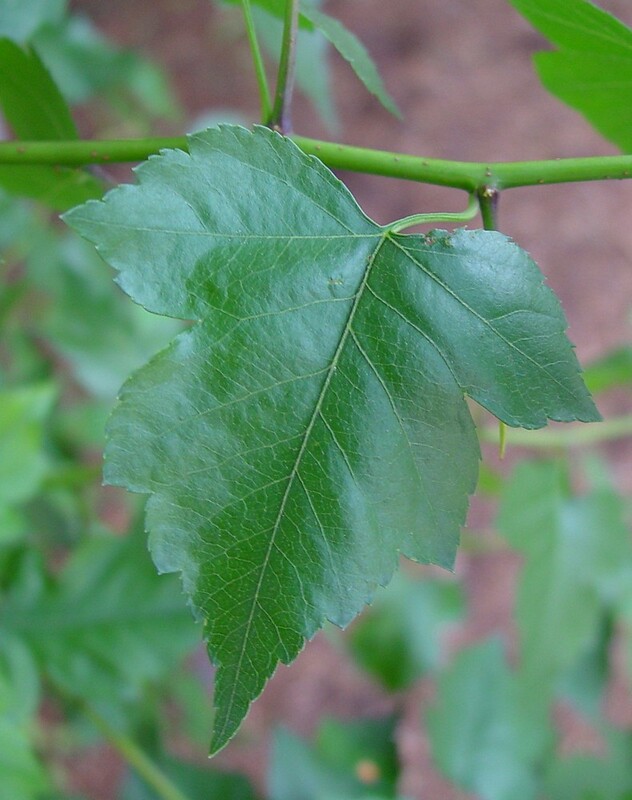 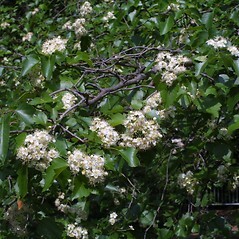 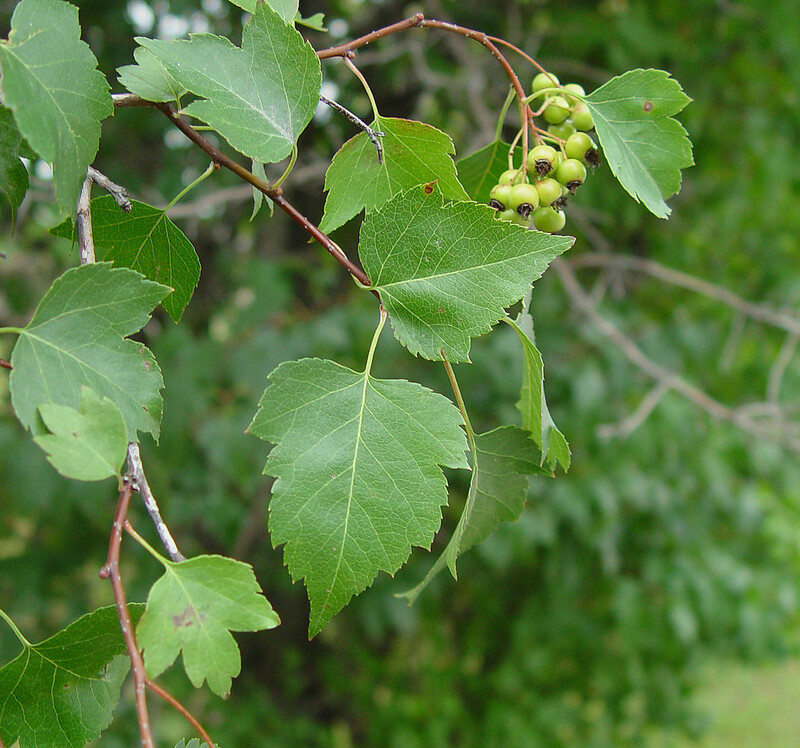 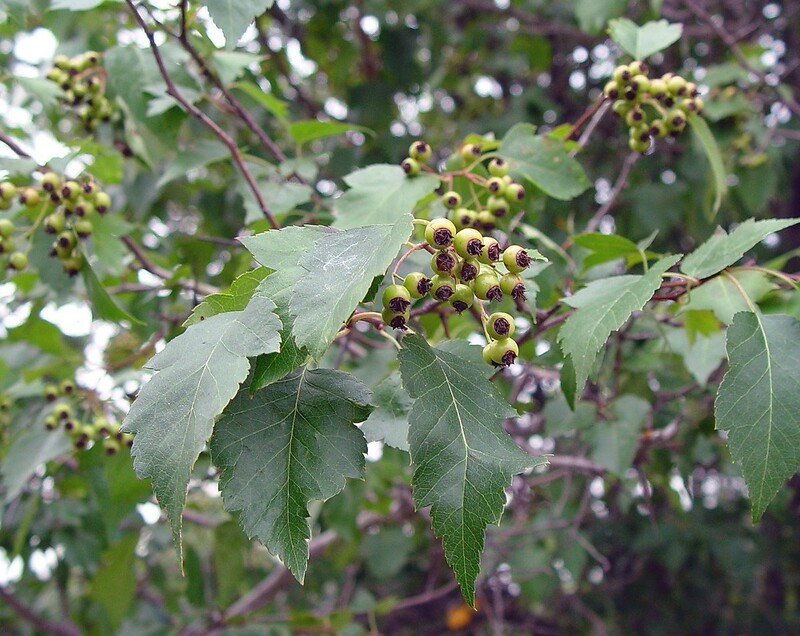 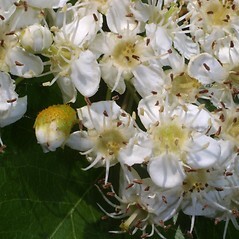 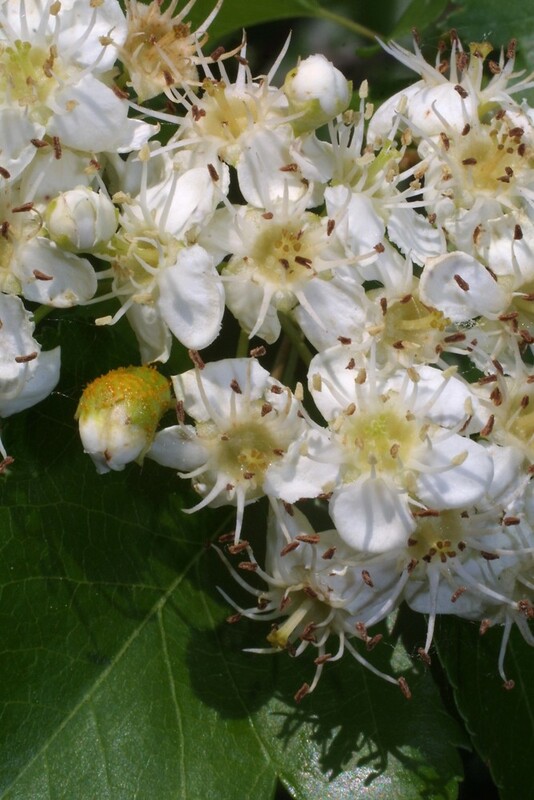 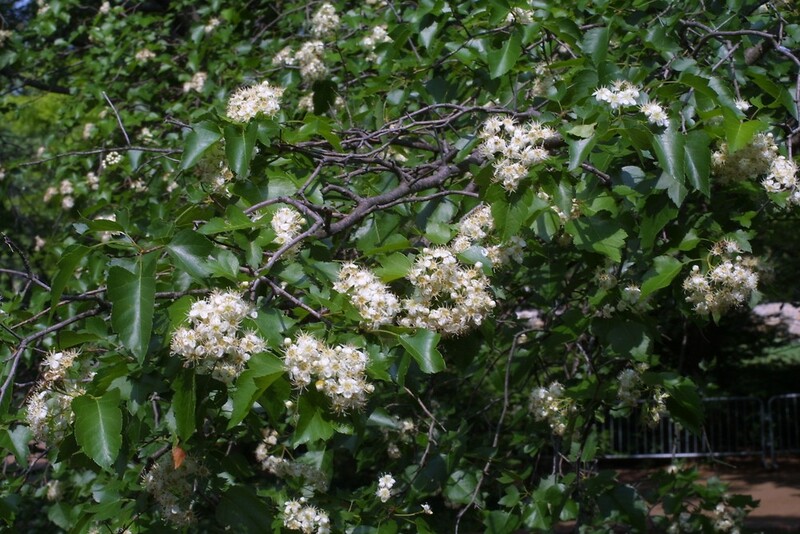 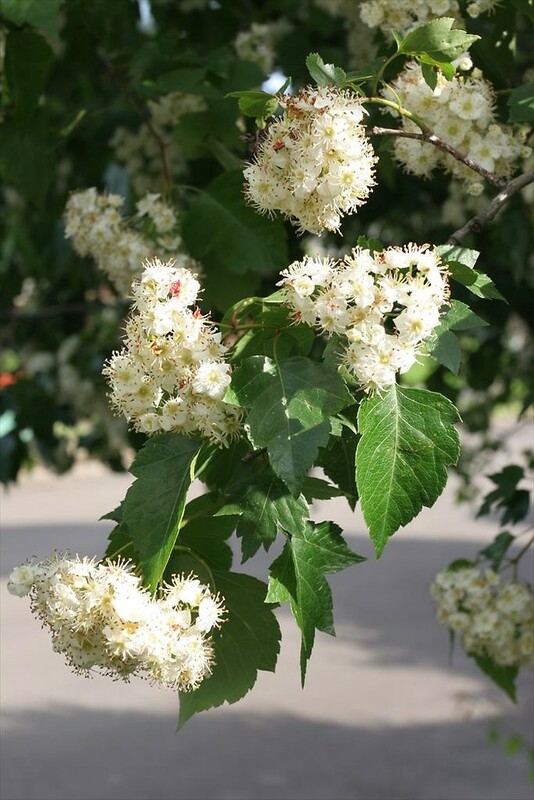 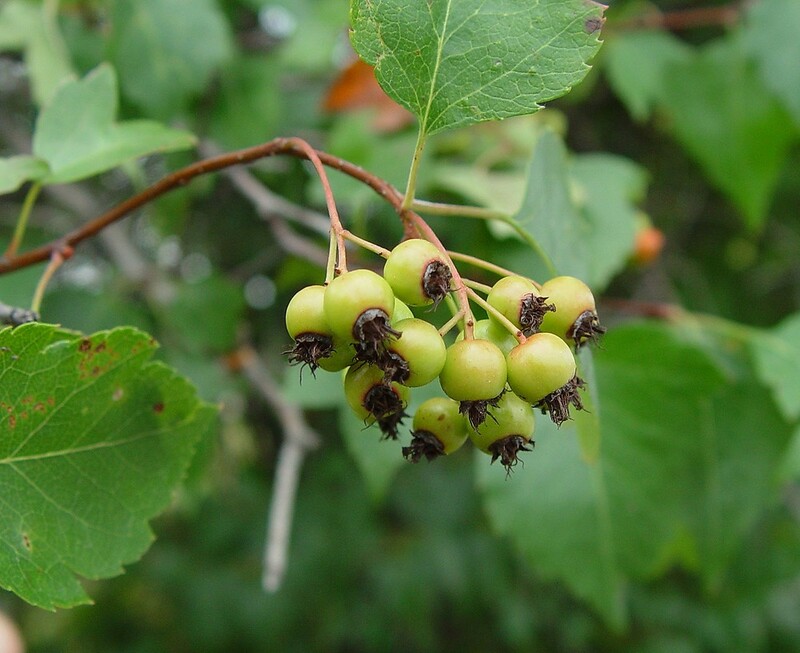 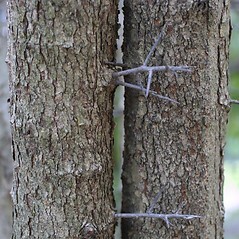 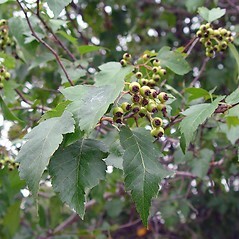 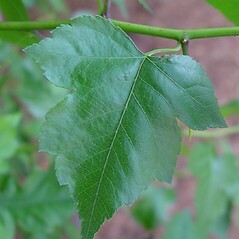 While native to the eastern half of the United States, Crataegus phaenopyrum is introduced (as a planted species) in some northern states, including New England. 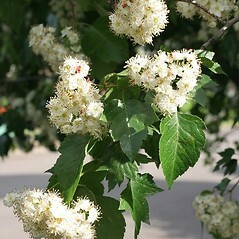 flowers with 1 style and anthers anthocyanic, and leaf blades cuneate to broad-cuneate at base, rounded to acute at apex (vs. C. phaenopyrum, with flowers with 3–5 styles and non-anthocyanic anthers, leaf blades rounded to subcordate at base, sharply acute at the apex). 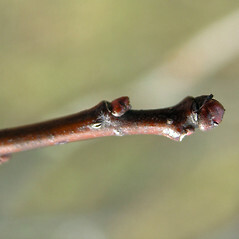 Washington hawthorn. 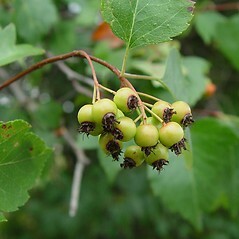 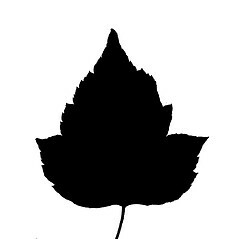 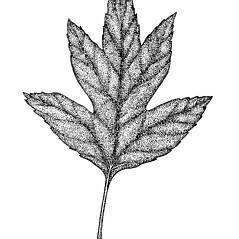 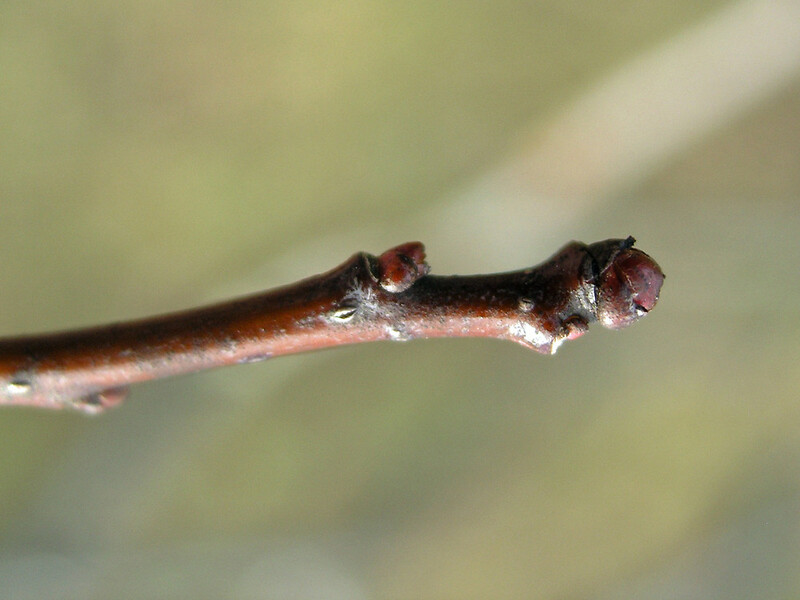 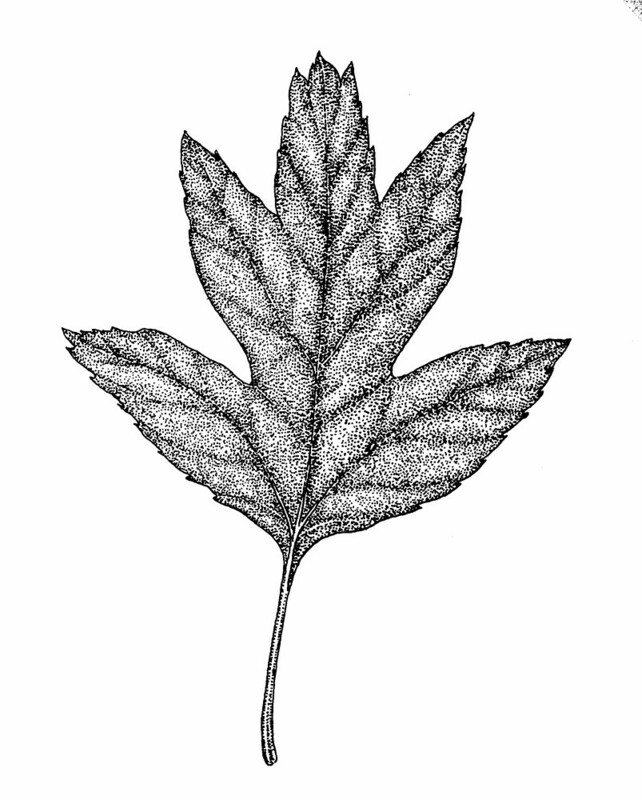 Crataegus cordata Ait. 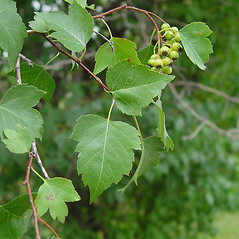 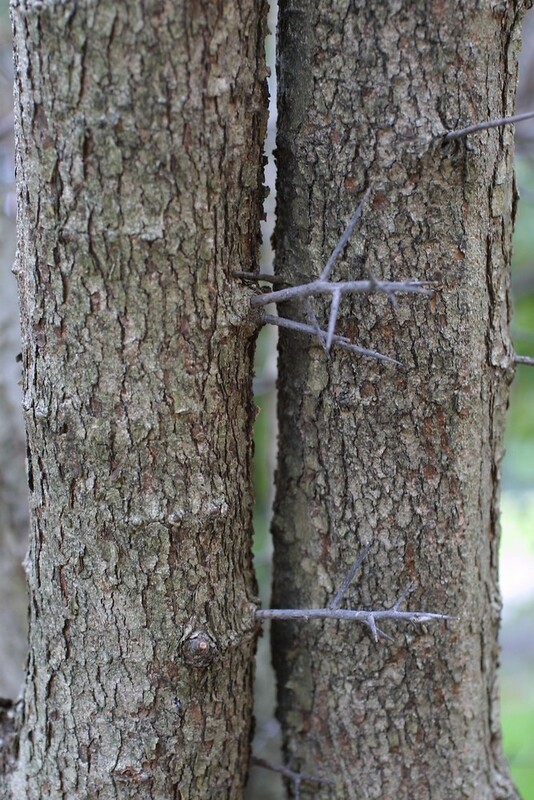 ; C. populifolia Walt. 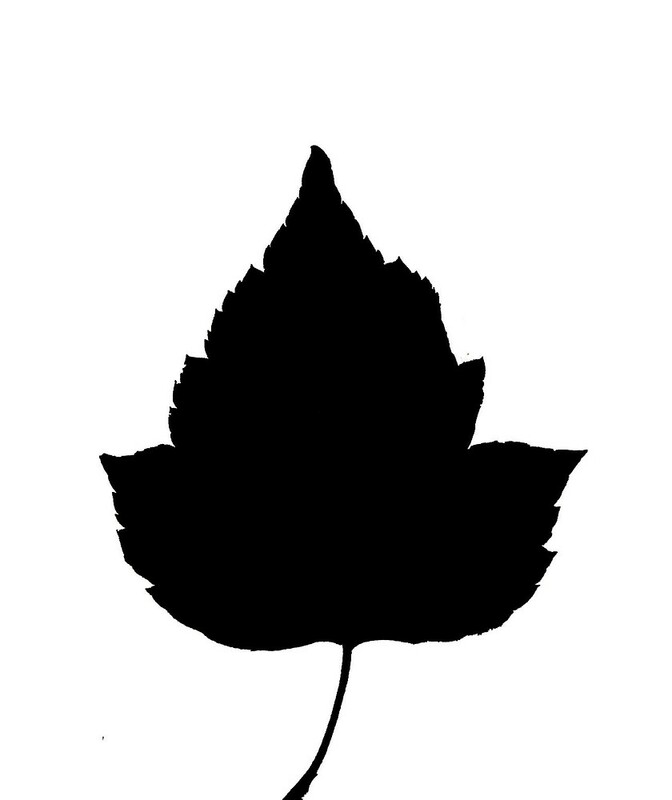 • MA, ME, RI. 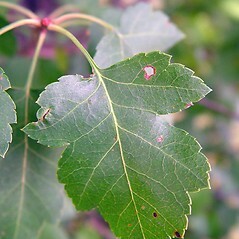 Forest edges, fields, early succesional forests, areas of habitation.